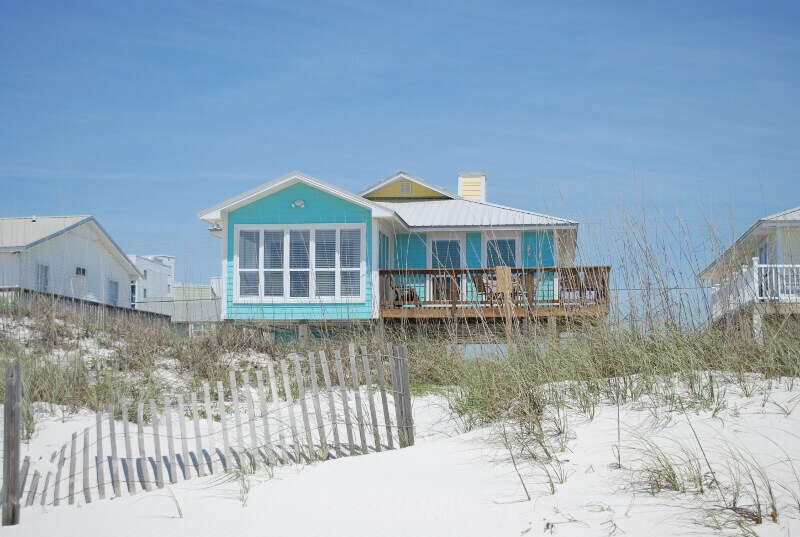 Our Place is a beachfront house, nestled in the dunes and sea oats in the quiet area of West Beach in Gulf Shores. It is a wonderful place to relax, but you are just minutes from restaurants, shops and attractions.Our Place rents Sunday to Sunday weeks in Summer. 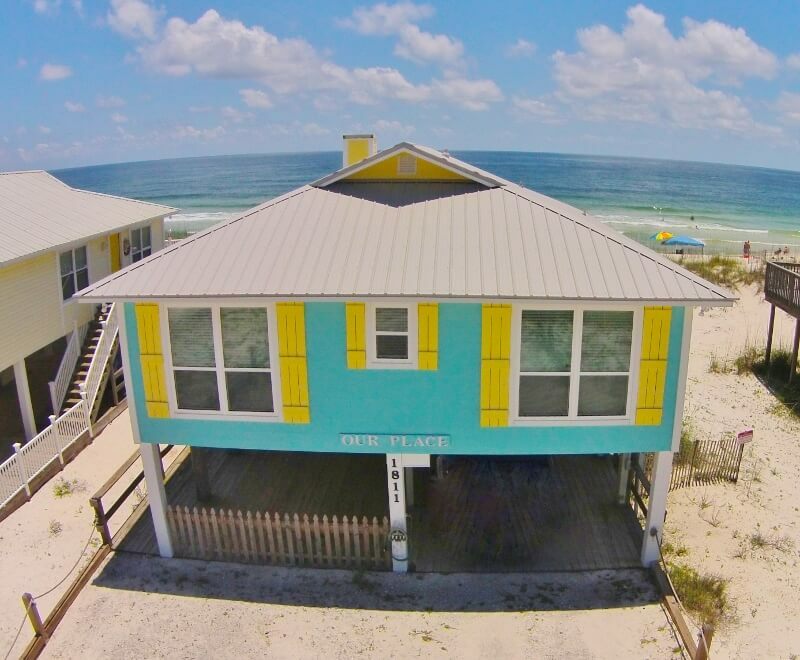 This traditional beach cottage has 4 bedrooms, 2 baths, a beachfront sunroom and more. A wonderful great room overlooks the Gulf with flatscreen TV and room for everyone. The updated kitchen has shaker wood cabinets and granite counter tops, along with a big breakfast bar. The living room also has a queen sleeper sofa and you'll find shelves stocked with books and games to enjoy during your stay. The beachfront sun room opens to the deck and offers a wonderful place to chat with friends or read your new favorite book. The house sleeps up to 12 (max 10 adults). Sorry, we are unable to accommodate groups under the age of 25. Hangout Festival there is a Refundable Cleaning/Damage Deposit to ensure the house is left as expected. Our Place has 2 King Bedrooms, 1 Queen Bedroom, and a final bedroom with a Pair of Double Beds. Each bedroom has a Flatscreen TV. One of the kings, and the bedroom with the doubles, share a connecting bath. Both of those bedrooms have great views of Little Lagoon. The other king adjoins the bath that also opens to the hall. The porch has a table and chairs for outdoor dining. And under the house you'll find a swing in a nice shady spot, a hammock to relax in, a long picnic table with room for everyone, a grill, and on outdoor shower on your way in from the beach. If you like fishing, you can cast from the beach, walk along the beach to nearby Lagoon Pass, visit the Gulf State Park Pier or charter a boat with one of the local marinas at Zeke's, San Roc Cay or Sportsman's. For the kids you'll find a nearby waterpark, go carts, mini-golf, the Alabama Gulf Coast Zoo (known for our white tigers), two historic forts and more. Several local companies will deliver kayaks, paddle boards or bikes. 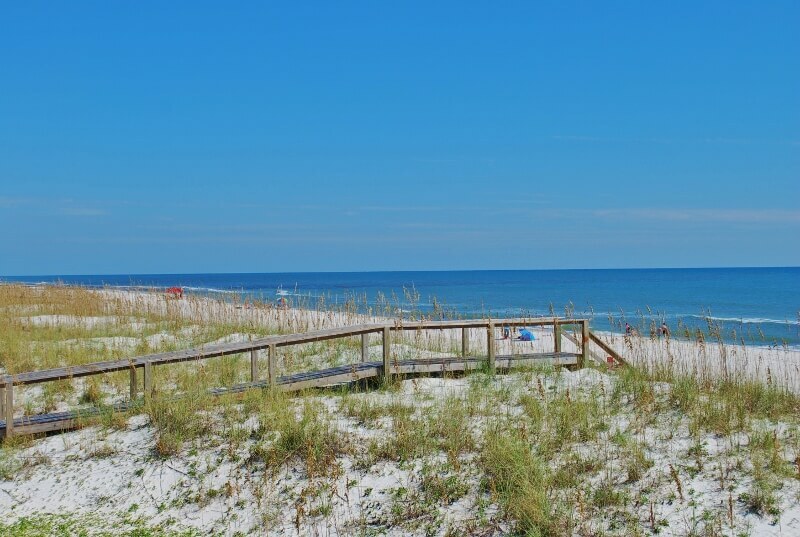 Gulf Shores is a wonderful family-friendly town but we also have a range of grown-up activities including a number of nearby signature golf courses, great fishing year round, great spots to relax for your favorite girls weekend, and events like Shrimp Fest, the Frank Brown Songwriter's Festival, SEC Beach Fest and more. We hope you'll decide to make Our Place your own favorite spot at the beach. Had a wonderful Thanksgiving week with family. The kitchen is well stocked with dishes, pots, utensils, etc. Only needed to buy dishsoap. Papertowels, TP, hand soap, garbage bags all provided. Plenty of beach chairs and beach toys also for use. The sun porch has beautiful views from both sides and is like sitting on the beach from the inside. Comfortable and relaxing home atmosphere. Hope to stay again! Highly recommend "Our Place" for families wanting to vacation together. We had babies with us and this was the idea place to bring them on a vacation. Everyone had a great time. The kitchen was WELL stocked which made it nice to prepare meals. Excellent property and location. Loved it. We couldn’t ask for more at Our Place! We had two families of 6, kids ranging from 16 to 2 yrs old. Plenty of room for all of them to spread out, between 4 bedrooms, 2 living areas, dining room & the outdoor spaces. Our Place was very clean & was fully stocked with everything you might need in the kitchen. We were also surprised at how much beach gear was available. No need to haul your own stuff all the way there! Property Manager was extremely prompt & responsive. We mentioned that the hammock needed repaired & someone was out to fix it within a couple hours. Highly recommend this house, the location can’t be beat. Beach is essentially your own back yard & you can walk to/from home without packing everything up or taking all the kids back and forth. Obviously we are disappointed when we see a review like this. There was a problem, and thankfully the guest called us so we could take care of it, and it sounds like we did. But while it says we were prompt about the remedy, and the house is recommended, the numbers don't seem consistent with that. We hate that it was not up to par to begin with but hope you are left with the knowledge that we'll fix things if you need it, and despite the issue, these guests would recommend the house. Our Place was above our expectations! Just perfect in every way ! Clean roomy and top notch beach location. First time renting "Our Place". We loved several things about the house and rental company, and yet some negatives. This was my first experience at renting a vacation property. For the most part the family was pleased with the property and its close location to the beach. I on the other hand was disappointed with the lack of general over all maintenance of the property. I would also not recommend visiting the area on a holiday week. Traffic was bad, restaurants and attractions were packed causing long waits. We always hope that everyone is happy, but sometimes it doesn't work out that way. And sometimes it is predictable. If part of your group prioritizes being right on the beach, and part of the group prioritizes being in a more luxurious property, whoever wanted fancier, and did not care about beachfront because they were staying inside the entire time, might not be pleased with a cute, but definitely not new, if already irritated about holiday week traffic. If something needs to be repaired please let us know and we'll take care of it asap. Everything about this house was great! 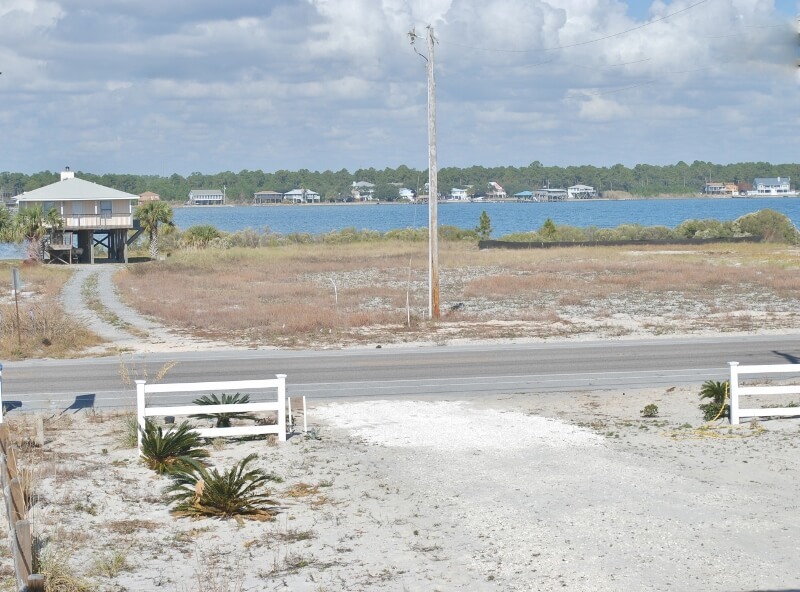 Right on the beach, roomy, beautiful view from the sunroom and deck. Loved this rental property. Very well maintained despite being booked solid. Only thing I would recommend to the owner is covering the back deck since it is hot as blazes if you sit out there. Great view and awesome location! Only negatives were shower flow was poor and the remote to the TV was partially broken. Beautiful home...perfect place to stay with family & friends..Loved the view & being close to beach...home well stocked for cooking & beach going...Loved it! Our Place was a perfect place for our family vacation. We loved being able to walk right out to the beach. The house had everything we needed. The week was fantastic. Everything you need is there. Great views, great location. This is our third year. It is such a lovely and relaxing place! Our Place is well laid out house and so comfy and cute. The house feels loved and it shows through its character. It is very well stocked and supplied. Also cleaned up debris left around property. Lovely house with superb location. We had a great three days here,one or two little things. No hair dryer, lack of bedroom mirrors and we expected a few basic items in kitchen like coffee, salt pepper and maybe a small welcome grocery box. All there was was one dishwasher tablet. When you arrive you should have a starter supply of paper products plus enough laundry and dish detergent for your stay. Sorry, we don't leave hair dryers, they keep disappearing! Each of the bedrooms has a mirror although one of them is fairly small. As is the norm here, we do not provide coffee or welcome groceries but you may find basic seasonings--some guests throw away any in the cabinet that have been opened but we try to leave them. The house was very well maintained and clean. It was in a quiet location. Perfect access to the beach. It was everything we expected. Stay at Our Place. It's great!! Have stayed in "Our Place" before. Love the location, away from high rise condos and right on the beach. Unit could use a good "deep" cleaning; ceiling fans, inside of dining table, corners of floors, etc. Very well equipped kitchen everything you need for some good shrimp boils and meals. Overall lovely place to spend a week. We will be back. We think you'll be pleased when you return! We have figured out that we just have to block a week at the end of summer, even if guests want to come then, so that we have a few days to get things into shape at the end of a busy season. Although even far into the season we don't expect that you should be seeing those issues. Please let us know if something doesn't meet your expectations--we want to come fix it! I will definitly stay here again. We loved the sun room! Adorable house. Everything was perfect! GS Vacation Rentals is always so great to work with. They truly go above and beyond for their customers. Absolutely best family vacation ever. The home was just perfect for all of us, and to have a beautiful view of the ocean every single day was amazing ! Our daughter got married there at the house out in the sand with the backdrop of the ocean, it was just magical. The property was great and beautifully decorated. We had a group of 11 adults and had enough bed space, including the sleeper sofa. I recommend this property! My family, nine adults and two infants, loved this place. The view is amazing, and my mother constantly sat in the sun room, which I knew she would love. We did have one issue that we were unhappy about, and the excessive cost could make it difficult for us to go back, but overall it was a wonderful experience for us all. Our family vacationed here over Christmas Location was perfect. House was clean and comfortable. Dishes and kitchen utensils were nicer than most rental properties. Very low key atmosphere. Property manager checked with us frequently to make sure we had everything we needed. It was practically perfect. This beachfront cottage was everything our family needed with 4 bedrooms and a spacious living area. With a few steps to the beach we thoroughly enjoyed our stay. time so we went and bought a grill for our personal use since we were grilling a lot. I am from Memphis, TN and not Memphis, HI. We had a great time. Very homy. We have stayed at many vacation rentals and many are very anticeptic. This was not the case. Many personal touches fron the games to the beach chairs and kids beack toys. We felt like guests in a private home rather than a rental. Everything worked. Porches and views were great as advertised. Would definatly come back. no locks worked between adjoining bathrooms, ceiling fans needed attention badly, furniture in living room was too worn out to sit on and get up from, very uncomfortable . surprised us. Deck chairs were a joke, could tell they were new; but still terribly light and flimsy. One broke[ that was already cracked when we arrived] but we bought new one to replace it. Loved the swing, hammock and truly enjoyed and appreciated the guest closet under the stairs. Great fun with the [toys]. You'll love the new furnishings and ceiling fans. While here, please call us if you have issues. The locks just needed a minor adjustment. We would have been happy to fix that for you but needed to hear about it before the end of your stay. "Our Place" was the best ever! This was a great house that accommodated multiple families easily. The kitchen was surprisingly well stocked as we chose to cook nightly. We look forward to staying here again! Love this home! It is the second time we have stayed & we will be back to stay again! Such a peaceful, relaxing place! Our family thoutoughly enjoyed our stay at "Our Place". We can't wait to go back again! The house was very comfortable & felt like a home away from home. Towels and dishes our responsibility? loved the location. The house was perfect for our family/grandchildren. only thing I didn't like about it was that we were required to have all towels washed and folded prior to leaving and the dishwasher ran and emptied also. Have never had to do that and would never expect to be required to do so. Beach house is very cute and comfortable. 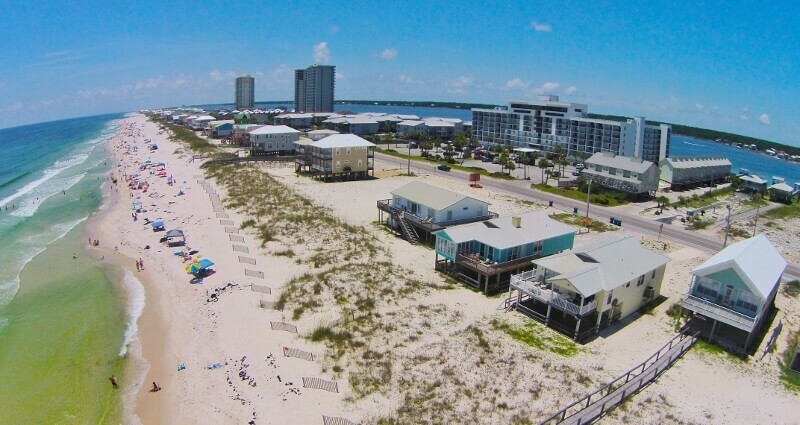 Great location in Gulf Shores as it's close to everything - restaurants, go-carts, shops, etc. Beach is just steps away from the house - great to set up our tent and leave for the whole week. Great place to store all your beach items downstairs, closet has lots of items (now including our red sport umbrella we forgot to grab!) for your use but wish they had a cart or wagon to take to the beach. We had 11 people and fit comfortable but could have used another bathroom :) Overall we had a great stay and would recommend it! Very nice location, everything that one needs. The only thing we didn't like was all the work before we left - laundry (wash, dry, fold), dishes. Hard to do all the stuff & still get out by 10 a.m. This was our best Christmas ever. We traveled from Houston, Atlanta and Indiana - the accommodations were even better than expected - the kitchen was well appointed and stocked. Our 5 grandchildren couldn't get enough of the beach, which is right at our doorstep. Also, food shopping at Publix was very convenient. Thank you for anticipating our every need. We told all our friends and plan to again use your services. Outstanding experience with "Our Place"
Every detail before and during the stay was addresses professionally and thoroughly. We had a problem with the kitchen sink drain - reported it shortly before we left for our evening boat ride and it was fixed when we got back. Great communication via tonsil and texts keeping us informed. House was very comfortable and 60 steps from the beach. Completely satisfied with the whole experience! Excellently kept beach house. Very relaxing. It was steps away from the beach. My family and I loved it! The house was perfect. Loved everything about it. decorated very cute and cozy. Loved the deck and the underneath of the house was amazing. We spent a lot of time on the swing and hammock!! We loved the location of the house and the fact there were no crowds. It was the perfect distance to the beach and water. We stayed 7 days in June at Our Place. We loved the short steps to the beach. The swing and hammock under the house were our favorite places to take afternoon siestas. This place is about 1.5 miles from S&S seafood market. Several nights we just had them steam several pounds of shrimp for us rather than going out. One night we had Snapper. We loved that the beach on this end of gulf shores is less crowded than others. Management was very quick to respond and handle any issues we had. We had 6 adults and 6 kids in our party and never felt crowded. It was a memorable vacation. Our Place was everything we wanted in a beach house. our entire family stayed here for the week. it was so quiet; the area in front of our house was so secluded. every day we had our own spot. we watched the dolphins from our deck. I can't find enough words to explain how perfect it was to stay here. I highly recommend this beach house. We had a wonderful experience at 'Our Place' beach house. This was our second time staying here, and we will for sure be back! We couldn't have asked for a better stay at "Our Place." The house was very clean and really made you feel at home. There was plenty of room for everyone. We had 8 adults and 2 children and everyone had a place to sleep. Access to the beach was awesome. The kids really enjoyed the toy closet, it was neatly organized and the stuff was like new and there was plenty of things for them to use at the beach. The kitchen had plenty of room and everything you needed to cook and make yourself at home. Thank you for a wonderful vacation. We had our adult children, children, and grandchildren all there for vacation. 6 Adults 6 Children from ages 4-15 and everyone was happy and comfortable with the house!!! We had an awesome time as a family and everyone is wanting to go back already. We would not hesitate to recommend this property and the management company to friends and family. .....and WE HAVE ALREADY! !!! We had a great experience from the ease of booking, to check in, and all of the amenities of the house being as advertised. The management company was very professional and helpful. The house was clean and well maintained. The house was everything we were looking for. The location was just a few steps from the beautiful beach! Nice shady area to relax. Just a few miles from stores and other fun activities. The house is starting to show a little wear and could use a good deep cleaning. With that said, I would return to this location. We think you'll be very pleased on your next visit. The house has since gotten a new kitchen, and new furnishings. We should have blocked this end-of-summer week for an end of season cleaning but we had guests who wanted to come so we scheduled it for 2 weeks later. Enjoyed the stay at "Our Place". The location wasnt too far from the shops and restaurants but far enough away to enjoy the peace and quiet. I did not like how much seaweed was on the beach.House was clean. I'd recommend to a friend. The rental was the best we have had in several years of searching for a good spot. We have already put down a deposit for next year at the same place. The beach is just steps away. the house was well furnished and supplied (our only point of dissatisfaction was the toaster. Overall a very comfortable place to be. It would be nice to have a recliner, but I understand why that might not be a good thing to have in a rental. In summary, we would give Our House a 9.5 out of 10. We stayed at "Our Place" in June 2015 with a total of 8 family members and we couldn't be happier! 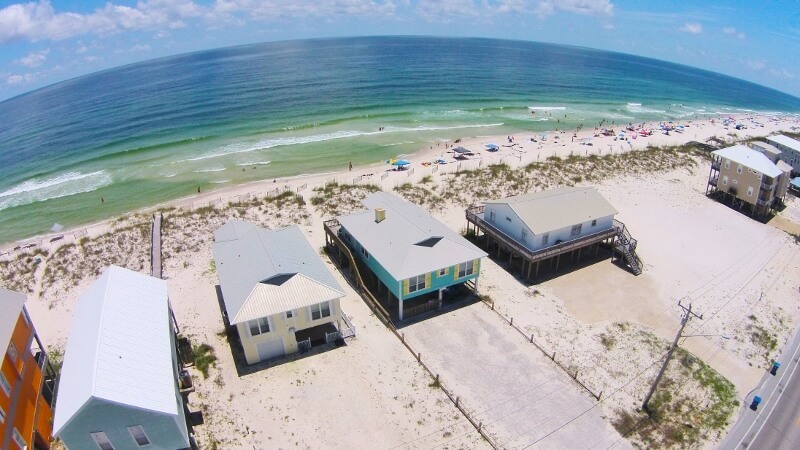 The house had everything you would need in a beachside rental and within feet from the beach! The beach was never crowded! It was also within minutes from everything but far enough away from the busy tourist points. Nice, quiet and just an overall perfect place to stay! We will be back soon! I can't say enough about how great it was! Absolute paradise. We had a wonderful quite/peaceful time at the beach. No crowds, gorgeous sunrises/sunsets. Would love to come back next year. We all loved "Our Place"
Our Place has a wonderful open living/cooking area with great beach views from all windows. It is close to the beach and the area underneath with the large picnic table was a favorite gathering place for dinner. the house was beautiful and plenty of room for our family vacation. The beach front area was very nice. Grandkids had a ball as well as all adults. Will definitely go again if we get the chance. And will not hesitate to stay at OUR PLACE. Great first time beach experience. House is awesome! Clean, nice, comfortable furniture, soft bedding. Beach is awesome. Would definitely stay here again. Mgmt was extremely responsive and helpful when we texted with questions and one day when cable/internet was out. Only SMALL complaint is that guests are required to get all towels, washcloths and kitchen towels washed or at least in the washer before leaving, which is hard to do before checkout at 10am. I recommend washing your beach towels to use as bath towels on the last morning. We had a great experience. The house was clean and had enough room for all. Spent a lot of time in the hammock and sunroom as well as the beach. Is our second year in Gulf Shores and both of been fun time. We look forward to being there again. Thank you. Awesome Views of the Beach!! Our stay at Our Place was absolutely WONDERFUL! The house is just steps from the beach, spacious, very clean, well kept. We thoroughly enjoyed the decks , top and bottom . The sun room was a hit with all, truly the best room in the house! It was awesome to wake up to Amazing views of the beach. Great beach area for children. Highly recommend! OUR PLACE we will be back!! If you are looking for tranquility and to renew your spirit just sit on the porch of this place and watch the waves roll in plus a dolphin or two swimming by blissfully!! Immaculately clean and well maintained-loved it and have finally found a place to come to forget about the world!! Thank you for opening up your home to share your little piece of Heaven!! !